Have a kid obsessed with space or science? 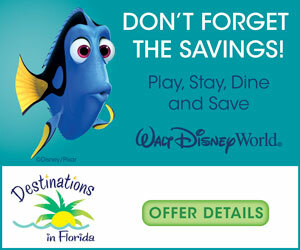 Want to offset summer learning loss, but don’t want the family vacation to seem like school? 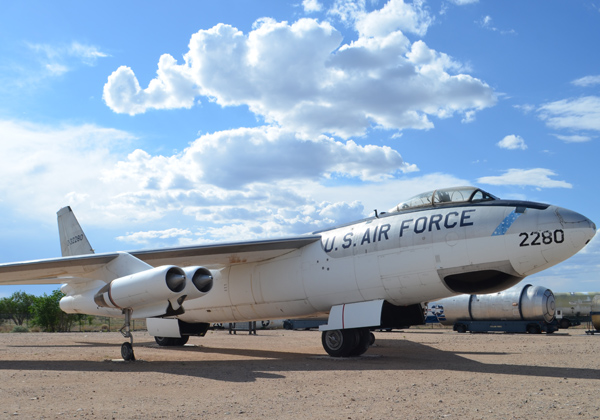 Explore some of the space and science attractions around Albuquerque, New Mexico – a research bastion since the 1930’s. These intellectual offerings in Albuquerque can elevate your family to tremendous heights but also reveal the devastating lows when technology falls into the wrong hands (sounds like the stuff of comic books). 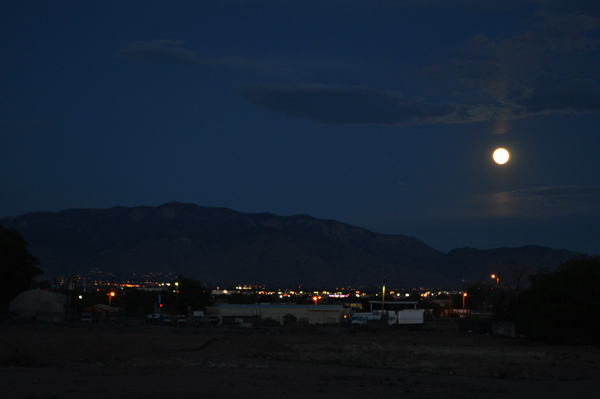 Continue reading for this nonscientific round-up of the highs and lows of astronomy and technology in and around Albuquerque, New Mexico. Albuquerque’s on the cutting edge of the final frontier, and one of its scientists has driven over 42 km on the surface of Mars. Sitting in an unobtrusive exhibit at the New Mexico Museum of Natural History and Science is a replica of the Mars Rover, and research curator Dr. Larry Crumpler is part of the long-term planning team deciding where the rover goes and what it does each and every day. 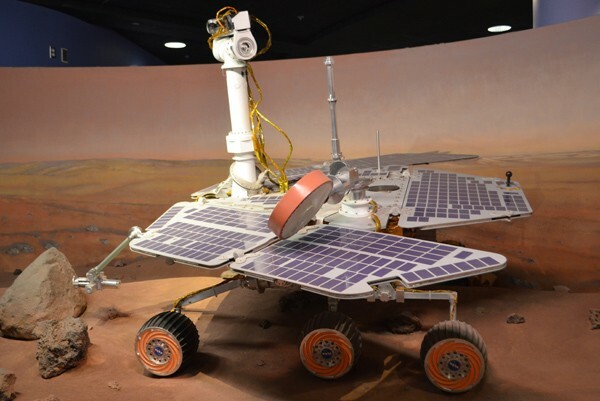 It Came From Mars is a new exhibit featuring Martian meteorites found on Earth as well as items sent to Mars as part of the Curiosity Rover expedition. Just a short day-trip from Albuquerque is Spaceport America, home to the future of space flight. Families can learn about the burgeoning space tourism industry at the Spaceport America Experience, and perhaps even catch a launch of a Virgin Galactic or SpaceX rocket. 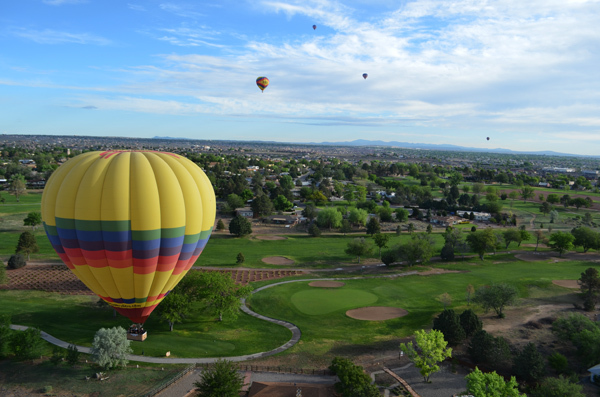 Three hundred plus days of sunshine, clear blue skies, and calm winds makes Albuquerque an ideal spot for hot air ballooning, and numerous companies will take you along for a ride. Noted pilot Troy Bradley has set more world records than anyone, flown across the Atlantic, set distance and duration records across the Pacific, ascended to 34,000 feet, and even flown the house from Disney∙Pixar’s UP, but still enjoys taking passengers up in the air as one of Rainbow Ryders pilots. After your morning flight, take time to bring the family to the Anderson Abruzzo International Balloon Museum, and stroll through the history of lighter-than-air flight. 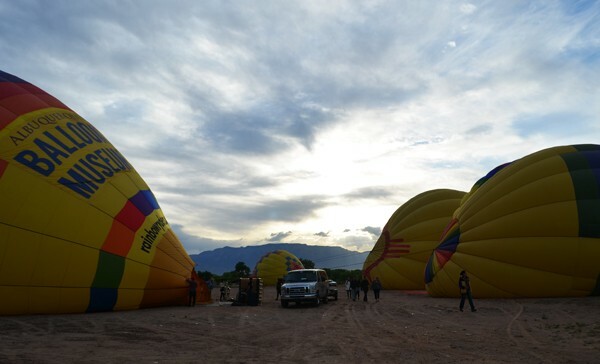 Each October the Albuquerque International Balloon Fiesta launches hundreds of balloons from Balloon Fiesta Park adjacent to the Balloon Museum. AMC’s critically-acclaimed television series Breaking Bad dealt with the unseemly side of chemistry and Albuquerque, New Mexico’s drug culture. 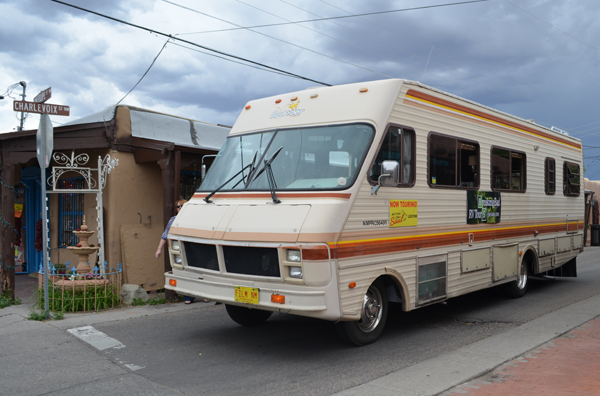 The hit show (as well as its Better Call Saul prequel series) has inspired a host of filming location tours – including one in an RV similar to the mobile laboratory seen on the show. 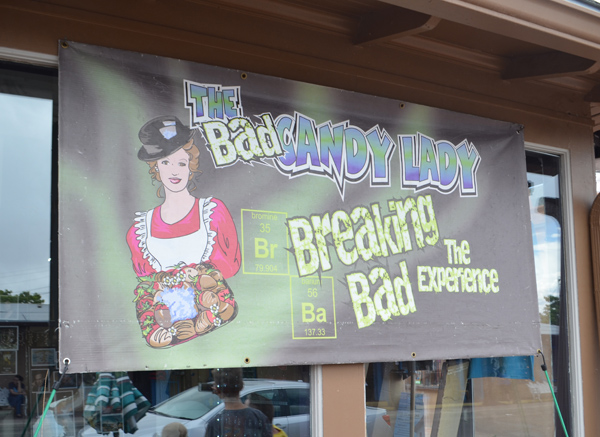 One tour stop at The Candy Lady explores the “science” of the cook. In truth, there’s not much science (or meth) involved, but The Candy Lady did produce all of the iconic blue crystal product seen on the television show. You can even purchase your own stash, and Albuquerque’s probably one of the few places where airport security won’t blink an eye at your haul. 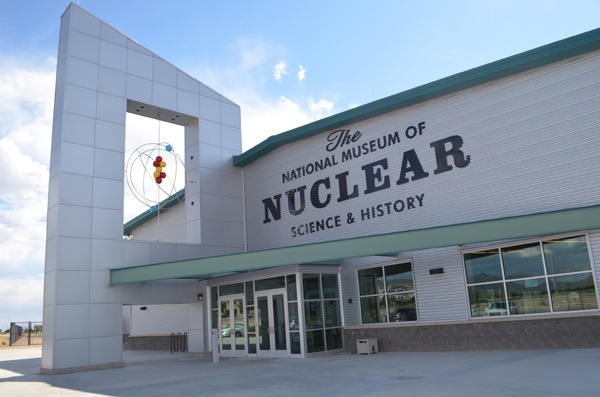 Families can find an impressive display of science and engineering at the National Museum of Nuclear Science and History, including the use of nuclear power for energy and medicinal purposes. However, the museum also serves as a sobering lesson with a collection demonstrating the weaponization of nuclear technology from the Manhattan Project and use of the atomic bomb on Hiroshima and Nagasaki, Japan at the end of World War II to the nuclear arms race during the Cold War with the Soviet Union. Look for the letter from Einstein to FDR warning about the development of the atomic bomb. 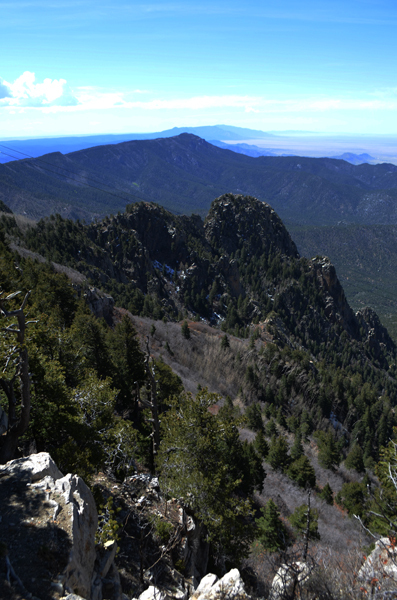 At nearly 3 miles, the Sandia Peak Aerial Tramway takes you into the unique geology of the Sandia Mountains and one of the highest vantage points above the city. The tram whisks guests up over 4,000 feet in elevation in just 15 minutes to the 10,378 foot mountain summit. At the top, enjoy spectacular views of the Rio Grande Valley including the city itself, neighboring Pueblos and Reservations, and Kirtland Air Force Base. Also catch a glimpse of the geological formations of Petroglyph National Monument and New Mexico’s sleeping volcanoes nearly 100 miles. 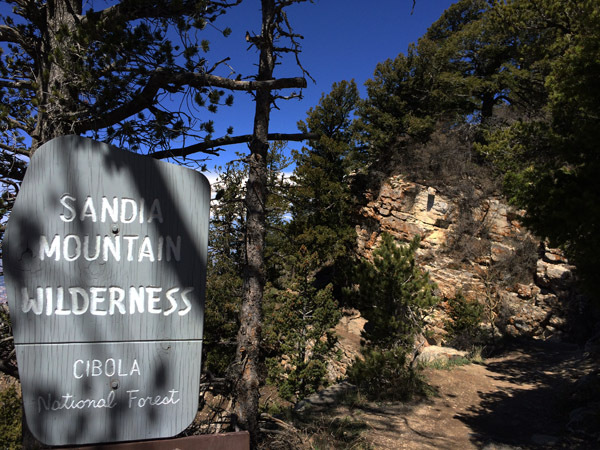 Save time for hiking in the summer months, as the Sandia Mountain Wilderness contains miles of trails to explore the area at elevation. Ghoulish tales, ghastly hauntings, and paranormal science are all part of the nightly ghost tours of Old Town Albuquerque. A city that dates back over 300 years is sure to have its share of legends and folklore, and nearly 10,000 people each year take one of the Tours of Old Town walks. 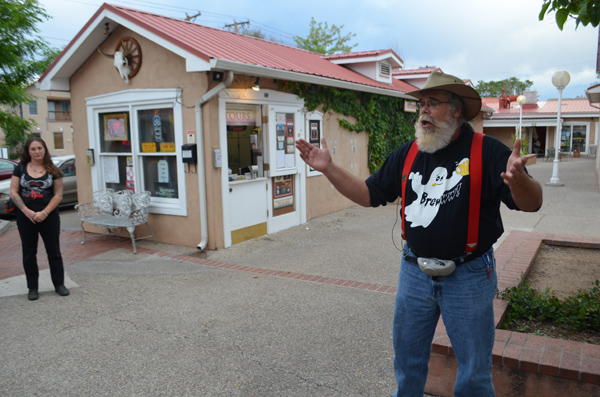 Your tour guide shares a colorful history of Old Town and some of its notorious residents such as the Hatchet Lady, Scarface Charlie, and Helpful Mary. Junior ghost hunting tours are available for kids, and they can even get hands-on experience with the “scientific” equipment of the ghost hunting trade. DISCLOSURE: Adventures by Daddy was hosted on a press trip by the Albuquerque Convention and Visitors Bureau in order to experience the region. However, all opinions expressed are those of the author. For more family travel news, reviews, and trip reports, be sure to follow Adventures by Daddy on Twitter and “like” our Facebook page, too.